Crabgrass is a common, fast growing aggressive weed that can easily take over your lawn. Crabgrass is more than a nuisance, it can turn a once beautiful lawn into a weeded mess. The best defense against crabgrass is prevention by killing it before it starts to germinate. Unfortunately, circumstances sometimes arise and the homeowner misses the chance at prevention. Apply a post-emergent herbicide that is designed specifically for crabgrass. It is best to apply it in early summer when the crabgrass is still young. If the crabgrass is mature, it may take more than one treatment to rid your lawn of the crabgrass completely. Read the warnings and follow all the directions printed on the label of the post-emergent herbicide. Remove patches of crabgrass as they emerge. You can pluck them using your hand or spot treat them using an all-purpose weed killer. Maintain a healthy lawn. 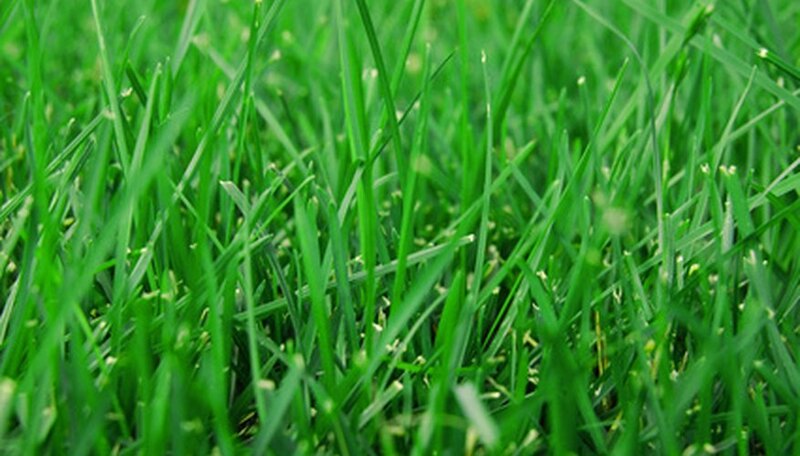 A healthy lawn is a less desirable place for crabgrass to grow. Switch your lawn mower to the highest setting when mowing your lawn. Higher grass blocks out sunlight to the soil. If there is no sunlight reaching the crabgrass seeds than they cannot germinate. Apply a pre-emergent herbicide to your lawn in early to mid spring to keep crabgrass seeds from germinating. Wear protective gloves when working with chemicals. Apply herbicide on a sunny day when there is little wind and no chance of rain.